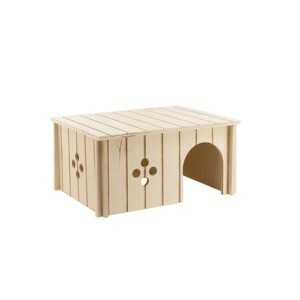 SIN range of wooden houses for small animals give you the possibility to add a very useful accessory to your pet cage. 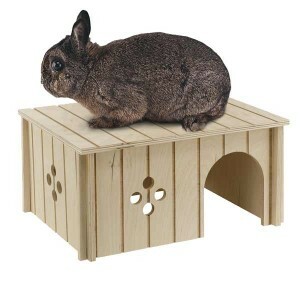 Once we have processed your order, this product will be despatched on a standard next working day delivery service for customers within mainland UK (As specified by our couriers). This service is charged at £3-95 for this item. Orders that exceed the size/weight or volume limits set by our couriers for each service may incur a delivery charge adjustment or changes to the delivery service used. Certain postcodes may also be subject to a surcharge. Please visit our Delivery Page for more information. To get an accurate delivery price for your order, simply add the items you wish to purchase to your basket, proceed to the checkout and complete your delivery address. Please ensure you are happy with the delivery price at the checkout before completing your order. Orders that contain products with different delivery services will only be charged one delivery price, using the product with the highest delivery service. All parcels require a signature upon delivery, meaning that our courier is unable to leave an item without a signature. For our full delivery terms and conditions, please visit our Terms and Conditions Page.